A beautiful deep golden yellow spice, turmeric has been a major ingredient in Indian and Bangladeshi cuisine for centuries. If you’ve ever spilled curry on clothing or your fabric table mats, then you’ll be familiar with how deep a colour turmeric has. That yellow stain that doesn’t come out? That’s turmeric. But it’s actually a compound within turmeric, called curcumin, that is responsible for that deep colour. And it is also curcumin that’s responsible for many of turmeric’s health benefits, including its anti-inflammatory and antioxidant properties that have been linked to helping diabetics control their sugar levels. Our bodies use glucose, or sugar, as fuel; without it, we’d be unable to function. Our pancreas produces insulin which is responsible for transporting glucose from the food we eat into our cells, where we use it as fuel for all our bodily functions. Diabetes is a condition where the body cannot use insulin properly, causing glucose to build up in the bloodstream. There are two types – type 1 and type 2. They have different causes, but left untreated, both can cause serious health complaints. It’s expected that by 2025, 300 million people will have diabetes worldwide. 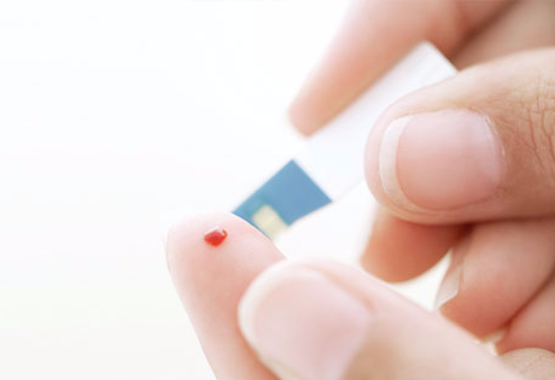 Type 1 diabetes is less common than type 2, affecting roughly a tenth of people with diabetes. Its cause is still unclear. It isn’t thought to be caused by diet and lifestyle choices, and often starts to appear in childhood or early adulthood. It’s an autoimmune condition in which the body attacks the cells in the pancreas that produce insulin. This means that insulin isn’t produced and without daily insulin injections to transport glucose to the cells, blood glucose will rise to dangerous levels. Type 2 diabetes is more common, with around 90% of people with diabetes affected by it. Often, it can be delayed, prevented or even reversed by eating a healthy diet and living a healthy life. People with type 2 diabetes do produce insulin but they either cannot make enough, or what they do have, doesn’t work properly. Again, this causes blood glucose levels to rise but most people do not need to inject insulin. Instead, its managed with a healthy diet and tablets to reduce glucose levels and improve the action of insulin. Turmeric has been used to manage diabetes in Ayurvedic and traditional Chinese medicine for centuries. It’s for this reason that there is currently a lot of research happening to find out exactly how turmeric does this. And the results are exciting. But before we go on to discuss these results, we need to make one very important note. These studies only refer to the management of type 2 diabetes. Type 1 diabetes can only be controlled by a strict regime of insulin injections, not by diet. We don’t advocate giving up any kind of type 1 diabetes medication and we don’t encourage stopping type 2 diabetes medication without talking to your doctor first. In our post on turmeric and chronic inflammation we mentioned the role of cytokines in inflammation. Essentially, they are chemicals that are released by the immune system in response to trauma, infection or irritation. Research has indicated that these cytokines, along with oxidative stress (a condition caused by free radicals found in cigarette smoke, pollution and other toxins, that can be reduced by antioxidants) play a role in causing type 2 diabetes. Curcumin has both anti-inflammatory and antioxidant properties. One study found that 300mg of curcumin, twice a day, significantly reduced markers of inflammation and oxidative stress in subjects with type 2 diabetes. 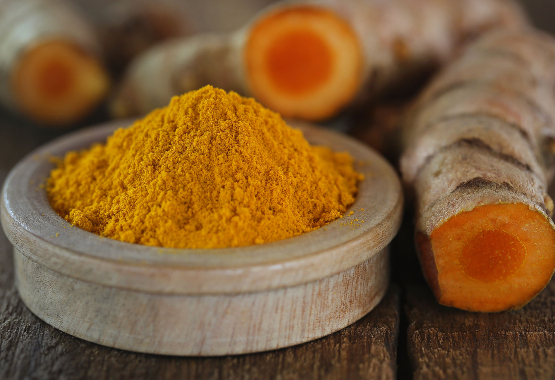 Other studies have shown that curcumin can limit the release and/or action of inflammatory compounds such as cytokines in the presence of elevated glucose levels. Hyperglycaemia, or raised glucose, increases the effects of oxidative stress on fats, proteins and the DNA of certain cells – a further study concluded that curcumin had an antioxidant effect on this oxidative stress, thereby reversing its effects. Separately from its anti-inflammatory and antioxidant properties, there have also been studies that conclude that turmeric therapy can significantly reduce blood glucose levels in subjects with insulin dependent type 2 diabetes. A daily dose of 5g in capsule form was shown to support reducing the amount of insulin needed to the absolute minimum. Good news for those who inject. Aside from chronic inflammation and oxidative stress, another cause of type 2 diabetes is insulin resistance. Insulin resistance is an early indicator of the disease and occurs when the cells of the body do not respond to insulin as they should. One study has demonstrated that 6g of turmeric a day in concentrated capsule form can increase the insulin response. This is exciting for type 2 sufferers and means that turmeric may also play a role in the prevention of the disease. Another new and evolving area of discovery is the positive effects turmeric and curcumin have on other conditions related to diabetes. So far, curcumin has been linked to the treatment of diabetic kidney, small blood vessel and eye complications, the scope for which is enormous. There are also studies being conducted on problems in diabetics associated with the liver, fat cells, hands, feet, vascular system and pancreas. Turmeric, an ancient remedy for a diabetic’s future? Considering that it is estimated to cost US$1 billion to develop a new drug, many studies have turned to ancient remedies to find cheaper, more natural alternatives with fewer side effects. There are over 200 plant based compounds that have been used for thousands of years in Ayurveda, curcumin from turmeric is perhaps the most studied. As we’ve discussed, it’s shown to improve the function of insulin and lower blood glucose levels in those with type 2 diabetes. It’s been proven time and time again to have strong anti-inflammatory powers and as type 2 diabetes is thought to be caused by chronic inflammation (due in part to an unhealthy diet and lifestyle) it has an exciting future as a possible therapy for the disease. If you’re diabetic and already taking medications to lower blood sugar, take care if taking turmeric capsules as together they can cause blood sugar to dip too low. Always speak with your GP first.